A D-Bus service that fetches events from Google Calendar and makes theme available for GNOME Shell to display. I'm not sure what you mean by if this package is needed. If your calendar sync is not working, it's mostly because of a problem with Gnome online accounts that many of us too have faced. In this case just use the manual account settings available in the program. Use --help option to get more details. Hello! Is this package needed on the current GNOME version? On "Online Accounts" it shows this: http://i.imgur.com/hYtVsqa.png but I have no top bar calendar sync. I was assuming python2-iso8601 is an AUR package and since python2-isodate was in the repos and the program worked for me with isodate, I had changed the dependency from iso8601 to isodate. But, now python2-iso8601 is avialable in the official repos. So, I'm changing back the dependency to python2-iso8601. Things should work properly now. But, now python2-iso8601 is avialable in the official repos. So, I'm changing back the dependency to python2-isodate. Things should work properly now. I was assuminn python2-iso8601 is an AUR package and since python2-isodate was in the repos and the program worked for me with isodate, I had changed the dependency from iso8601 to isodate. But, now luckily now python2-iso8601 is avialable in the official repos. So, I'm changing back the dependency to python2-isodate. Things should work properly now. @hashken: Does not work on my machine. I have adopted this package now. I have changed the upstream URL to my github repo. The old one has not been updated in a few years. I've made a few changes, the most important of which is the additional ability to manually enter account details in ~/.config/gnome-shell-google-calendar/config.json. Run with --help option to get details. 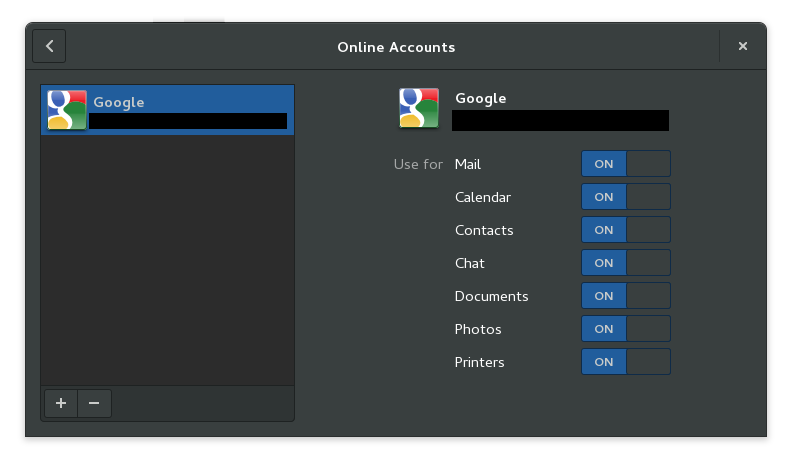 This will help those who are not able to use this extension because of a bug in GNOME Online Accounts, which causes the account authentication to fail. I might be wrong but isn't the AUR package python2-iso8601 the same as python2-isodate in the community repo?